How do these two living options compare for University of Akron students? 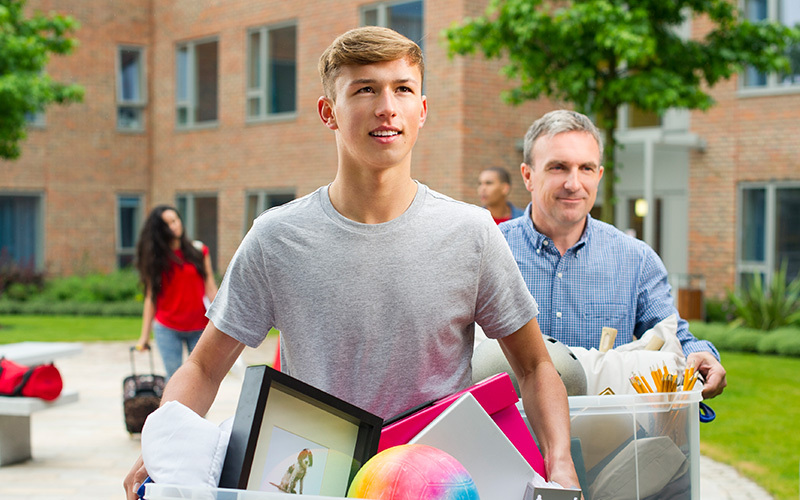 While there are many of different dorms on campus, and your dorm living experience will vary based off of what dorm you live in, there are things across the board for comparing off campus living and dorms. Here we put off campus living vs dorms so you can find the perfect option for your next semester at the University of Akron. Generally, University of Akron students opt to live in dorms for during the earlier years in college and switch to off-campus living as they become upperclassmen. This switch makes sense for a variety of reasons. University of Akron dorms are great for getting to know people who are starting out in the college career, so as a freshman dorms make an excellent place to make new friends and connections. Dorms are lively and perfect for getting acquainted to campus and all the new faces. Living in an off-campus Akron apartment has its perks as well, that predominantly appeal to upperclassmen. For the same reason that dorms are a fun option may annoy upperclassmen. The same loud dorms that were once fun to meet people are now a loud distraction from working on projects and studying during the harder upperclassmen years at the University of Akron. Space offered in off-campus living vs dorms varies significantly. Based off of the University of Akron dorm you select you may have communal bathrooms on top of sharing a bedroom with multiple roommates. While this sharing might be deemed as part of the college experience, there are some students who place a great deal of value on their personal privacy. This is another reason why University of Akron students may opt to live in off-campus student apartments. Residents at an off-campus Akron apartment like University Edge, enjoy the perks of living within walking distance to University of Akron campus, with an added layer of privacy. While our Akron apartment floor plans vary by the number of bedrooms, each floor plan includes a living area, laundry area, and private bedrooms and bathrooms. The level of responsibility differs from dorms and off-campus apartments as well. When you live in a University of Akron dorm you want have to worry about paying a monthly bill like rent, because the cost is included in room and board. There are other factors students won’t have to worry about when living in a dorm. This includes tasks like cleaning the extra space, grocery shopping, cooking and other miscellaneous adult tasks. While some students may want to continue living in dorms for this reason, other students might find the added responsibility to be a refreshing dose of what life will be like after college graduation. Living off campus in an Akron student apartment helps teach those valuable life lessons we listed above. If anything, off campus living offers the perfect stepping stone to life after graduation because it’s only one bill residents have to worry about and there are caring resident assistants on staff to help get Akron students adjusted to life off-campus. If you are a freshman or an upperclassmen. Most upperclassmen prefer the quiet and the responsibility of off-campus living. If privacy is important to you you might want to consider Akron off-campus living. Most off-campus Akron apartments offer not only more space bue more privacy, like a private bathroom and bedroom. Consider the added responsibility of living off-campus such as bill paying, cooking, etc. If you are looking for a stepping stone for life after graduation, you might want to consider an off-campus Akron apartment. Have more questions living off campus vs dorms? Contact our team at University Edge, or better yet, schedule a tour to see our off-campus apartments for yourself!